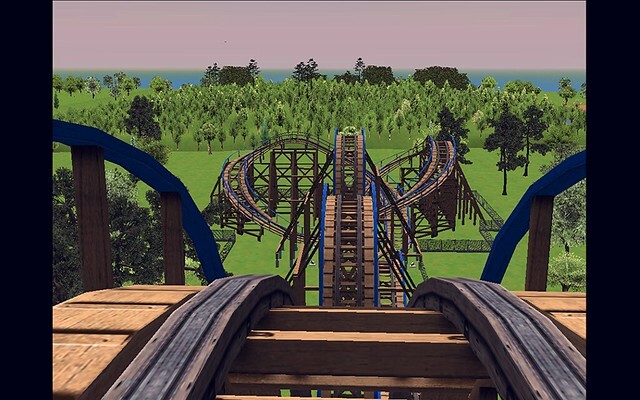 [RCT3] Kirkmen Island 1974- Six Flags American Adventure?! Loving the progression here, and the flume looks like a solid addition. Props for editing the mascot in. Nice touch. But seriously, when will the next update happen? Re: [RCT3] Kirkman Island 1974- Opening Day! & New Ride! 1974- Opening Day! & New Ride! Its opening day at Kirkmen Island! Sorry for the delay, law school is hard. Opening day is exciting because it is the first time that the general public gets to see what the park has been working on in the offseason. The park has grown so much since it has switched over to a full fledge amusement park in 1966! The newest edition to the park is visible from this aerial view of the entrance gate, even though it may blend in with all the beautiful foliage. The biggest changes have happened in The Grove, the new re themed center of the park that is still very wooded and is home to some of the parks oldest trees. The Grove is also home to Kirkmen Island's newest roller coaster, Grasshopper! 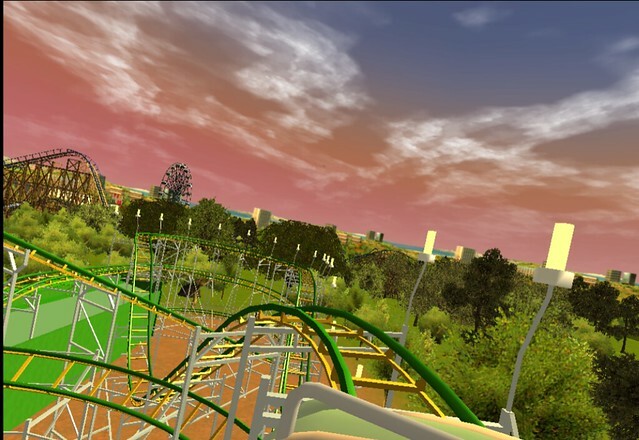 Grasshopper is the parks FOURTH roller coaster and is sure to thrill guest. It is no surprise that there is a full queue for the ride because it is the opening day and the ride that everyone wants to try! What the Grasshopper lacks in size it makes up for in thrills because it has many quick dips and drops. The unique four person car allows for many cross over moments during the ride. There are also many head chopper moments where guest were ducking trying to avoid the rides supports, even though the ride is completely safe and there is more than enough clearance. 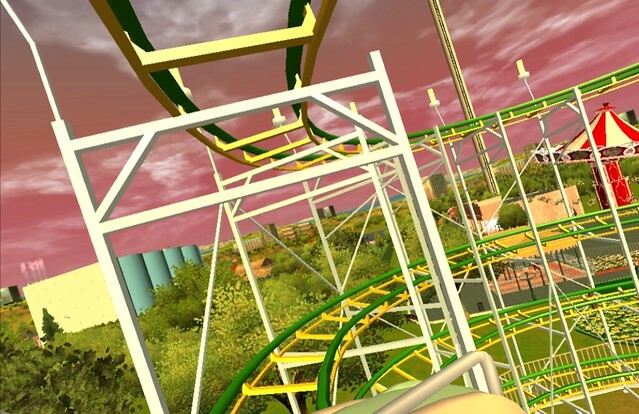 Grasshopper was designed by S.D.C however while the ride is “new” to Kirkman Island it is really a refurbished coaster once known as PinfariZ40 and was purchased from a traveling carnival run by MF-RCT_ and Cinipeas. 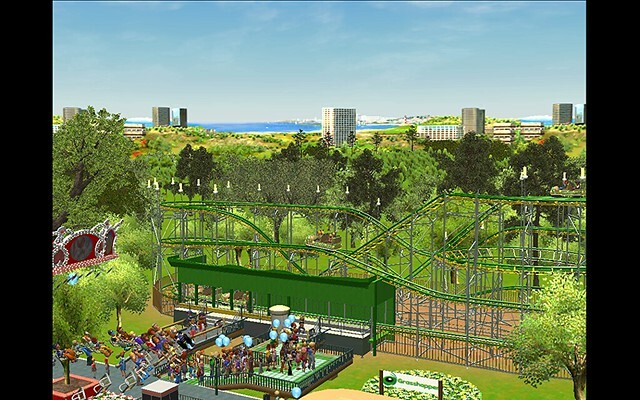 New or used, Grasshopper is a great edition to the park! Re: [RCT3] Kirkmen Island 1974- Opening Day! & New Ride! Park looks great! Keep it going! 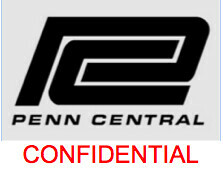 The Baltimore Sun has uncovered a leaked memo from Penn Central that suggest they are interested in adding Kirkmen Island to their portfolio of amusement parks under the companies ‘Six Flags’ brand. An acquisition team visited the park and produced an exhaustive report outlining a controversial acquisition plan that has some wondering will the Family owned park go corporate? I. 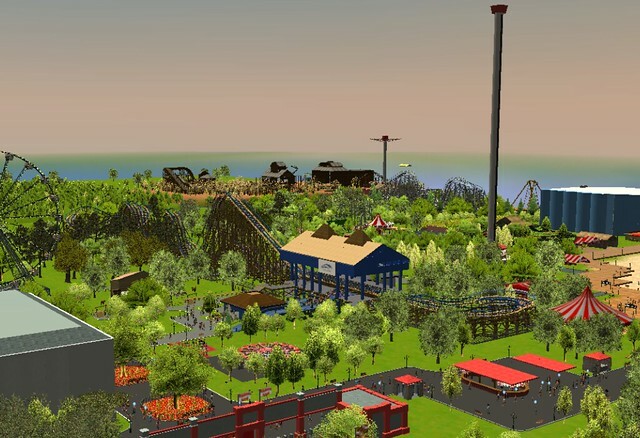 Recommendation Summary: Kirkmen Island, located in the Baltimore-Washington metropolitan area will be a great fit for our ‘Six Flags’ amusement park division and should be given significant consideration. 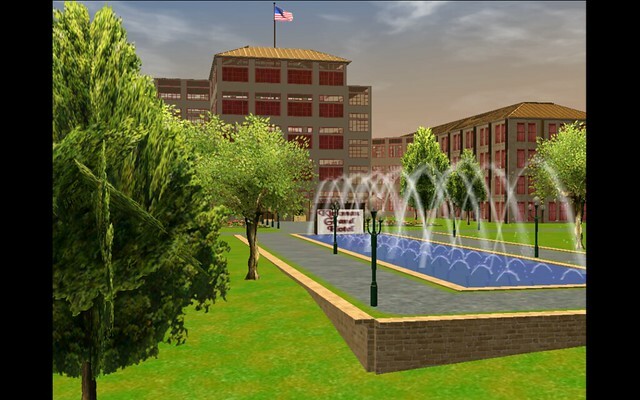 Kirkmen Island is a large family owned park with land available for future expansion. This report outlines, in detail, the benefits of acquiring the Kirkmen Island assets and any potential liabilities. 1. Assets- Kirkmen Island is a family owned and operated park that started on land owned by the Kirkmen family at their summer residence in Gibson Island, Maryland. 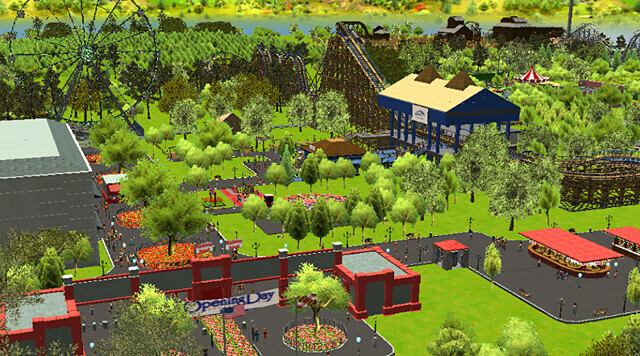 The park has grown from a family owned board walk and natural beach to a large seasonal amusement park. While the park has grown it still maintains its small park feeling. There are a few major assets to the park. 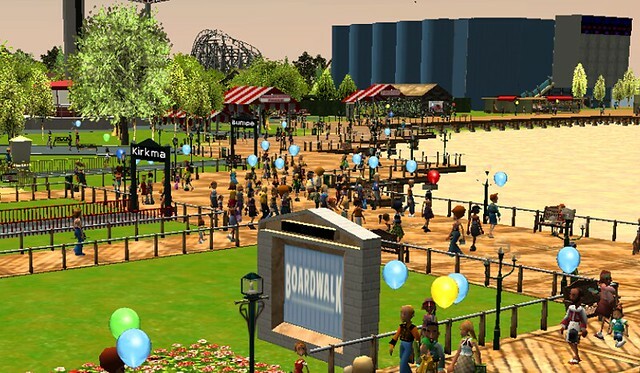 A. Kirkmen Island Boardwalk- The boardwalk is still largely in tact and houses a modest aquarium, many shops and rides. It is the heart of the park because it is where the park began. B. Rides and attractions- The park is home to 4 roller coasters, more than any park in the Six Flags chain. The park has a healthy mix of rides for the entire family. Their newest ride is Grasshopper, a wild mouse ride that is perfect for a family of four. 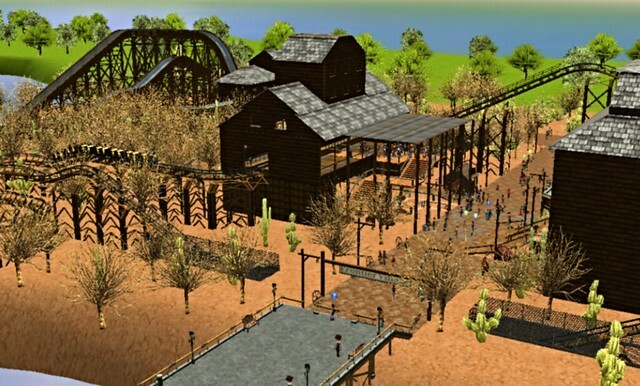 C. Frontier Village-This well themed Western Area aligns well with the origin of the Six Flags brand. D. Kirkmen Grand Hotel- The Kirkmen Grand is a 175 room luxury hotel with convention and meeting space. The hotel stays open year round hosting guest, weddings, conferences and events. The hotel is walking distance from the park. 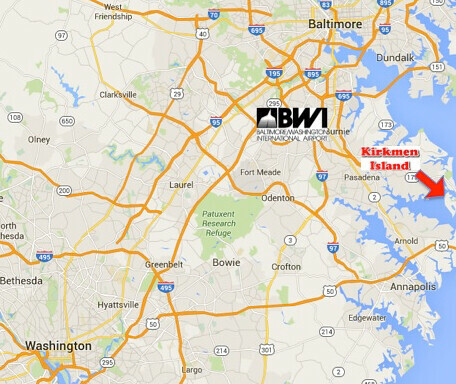 E. Location- Kirkmen Island is located squarely between Baltimore, MD and Washington, D.C. and is 15 minutes from the newly renovated Baltimore Washington International Airport. Also there are no Six Flags parks in the northeast. 2. 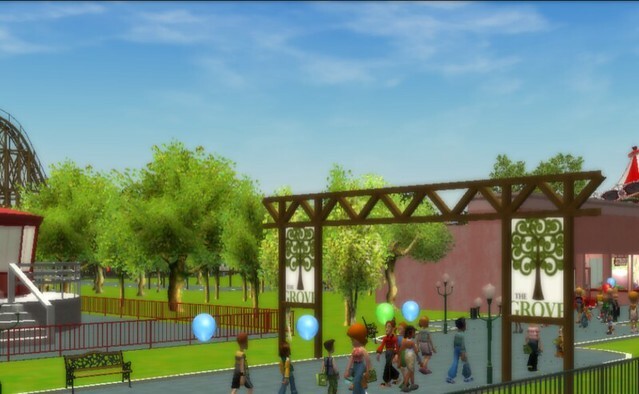 Potential Liabilities- the park has liabilities that should also be considered when purchasing the park. A. Under developed property- The park lines the coast of the property primarily. Much of the land is undeveloped and not set up for infrastructure. B. Financials- the park has some debt from mortgages on the property and debt from the hotel; the park is however cash flow positive. 1. Rebranding- Kirkmen Island is located close to Washington D.C. therefore a rebranding that celebrates America seems appropriate and can help with marketing and advertising. Below is an idea and rough rendering of the proposed new logo. 2. Kirkman Grand Hotel- The hotel is profitable but it would be more profitable it is appealed to customers looking for a value brand and should be converted to a hotel targeting families looking for a value similar to a Holiday Inn. 3. Closure of White Lightning- White Lightning is the parks oldest roller coaster and consequently the ride requires daily labor intensive maintenance and yearly major off season refurbishments. Very interesting... I'd like to see it happen! That kid who's too poor to ride any coasters. 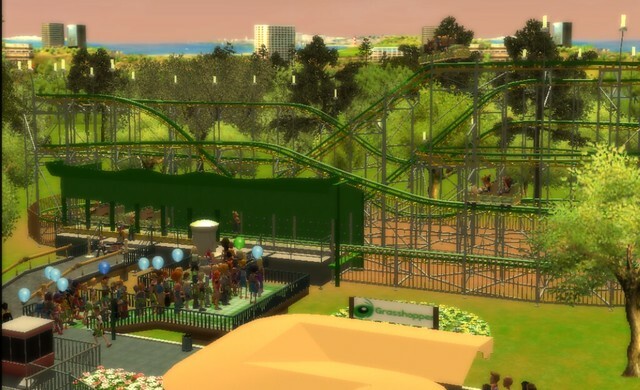 Don't forget to check out my new park, Mississippi Plains! Bump. When will the next update be?